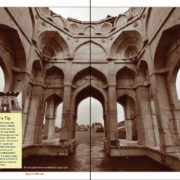 Shaadiabad – literally the city of joy – was the name given to this opulent human settlement where new heights were reached in spheres of architecture, art and culture. 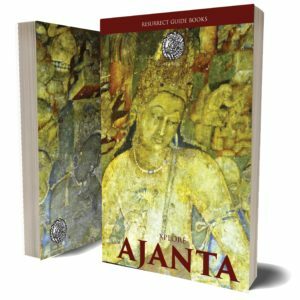 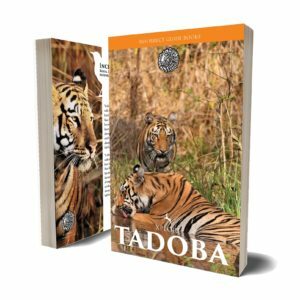 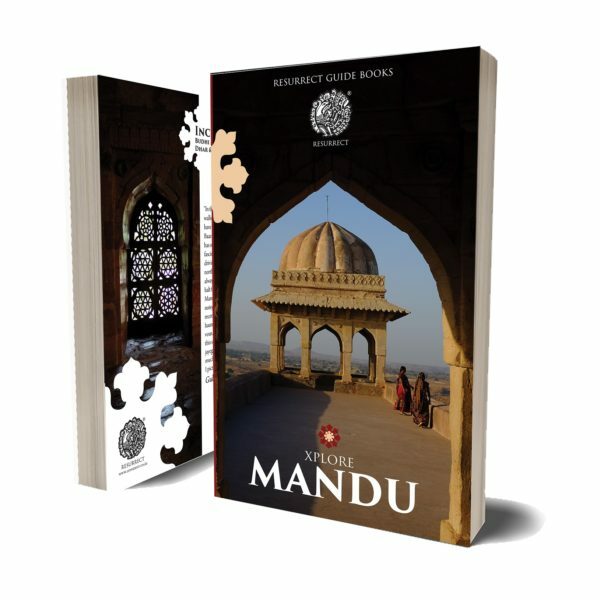 If the architects of Shaadiabad gave us the first edifice of white marble in the Indian Sub-continent, the painters of Ghiyath Shah left us with the exquisitely crafted Nimatnama – probably the first illustrated cook book in the world. 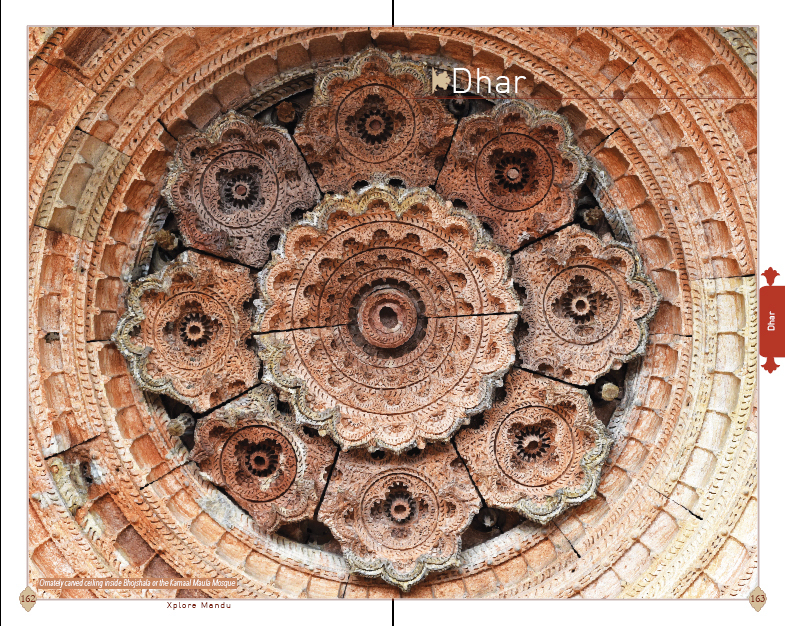 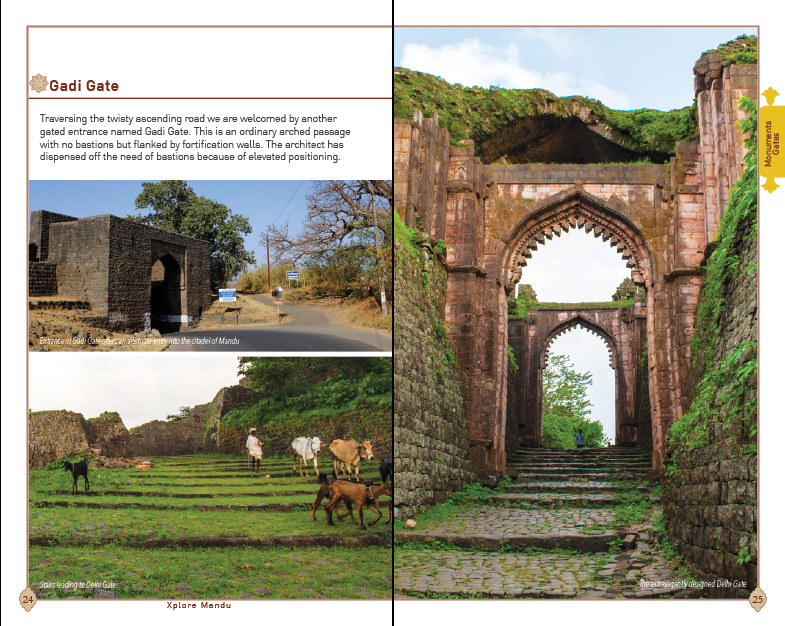 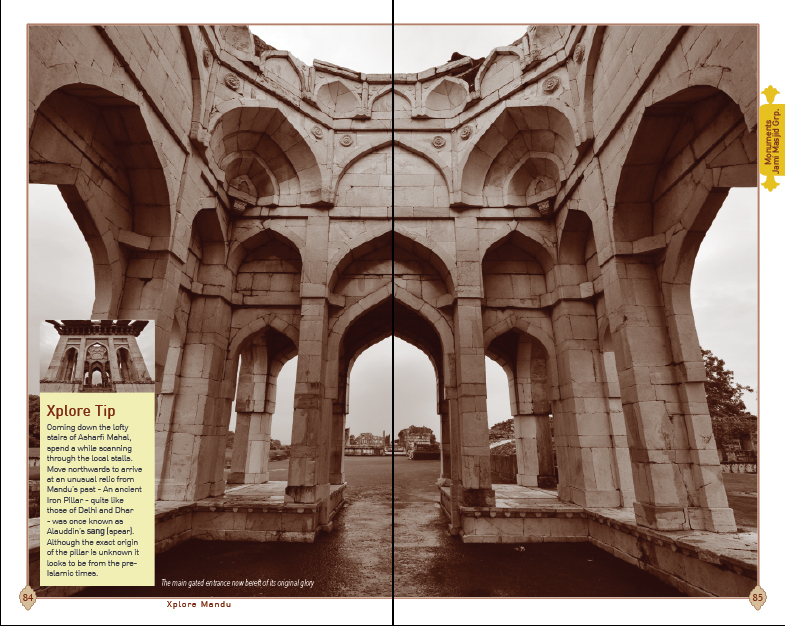 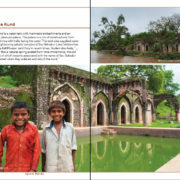 Exhaustive First-ever coverage of 61 Monuments including all 14 gates. 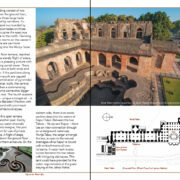 Around 200 high resolution real site photographs and sketches including 8 from archival collections. 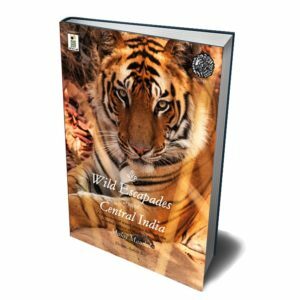 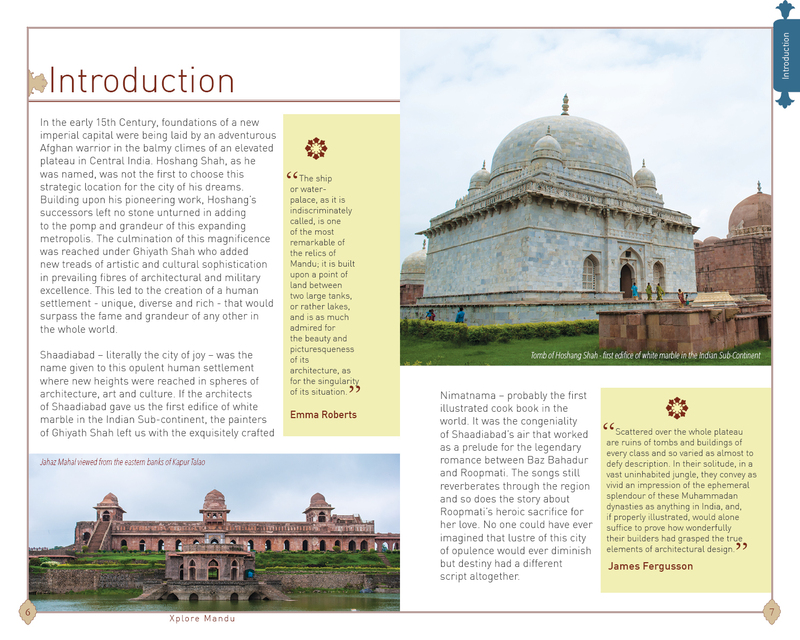 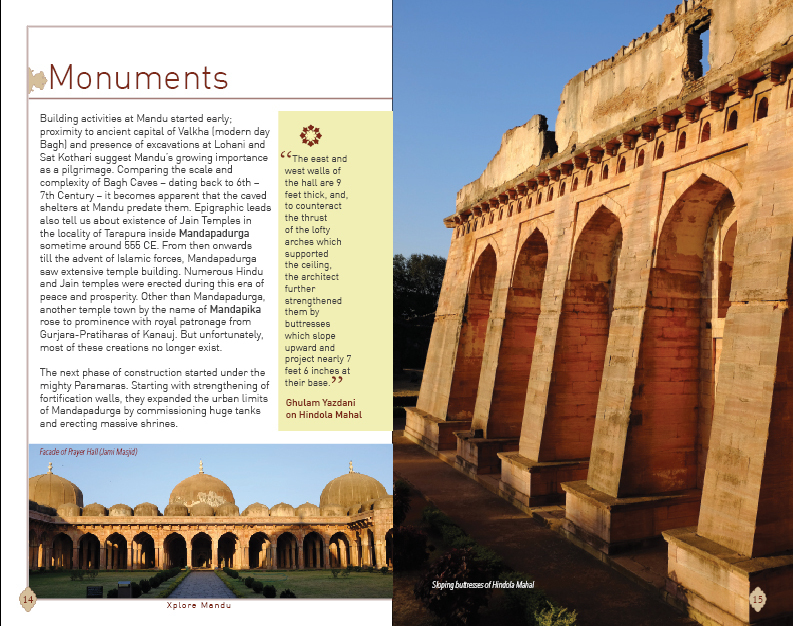 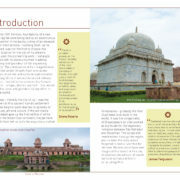 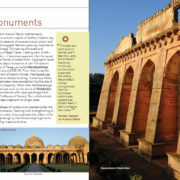 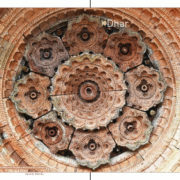 Comprehensive details of all monuments with architectural drawings for major ones. 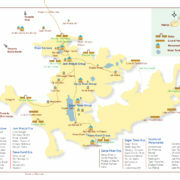 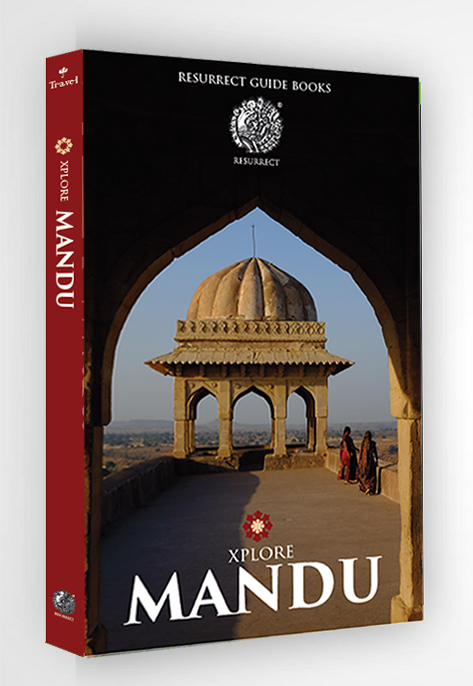 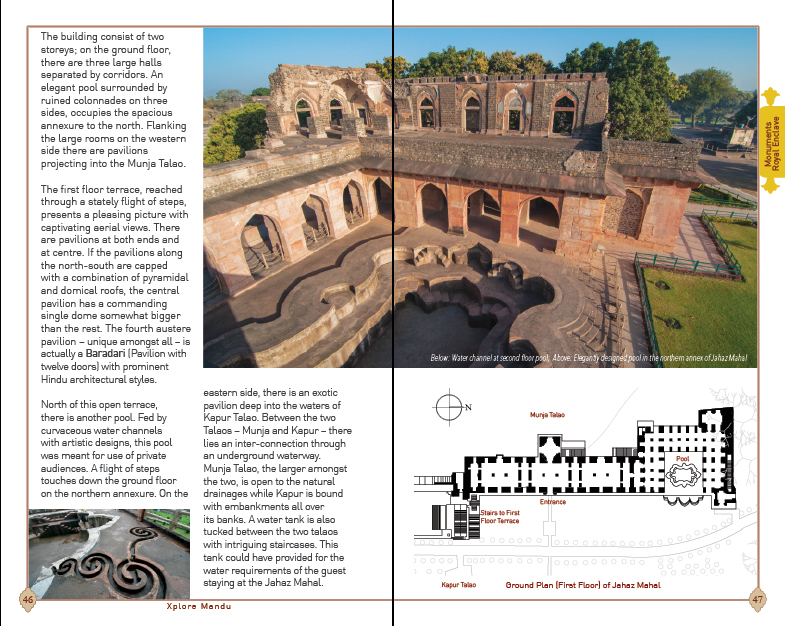 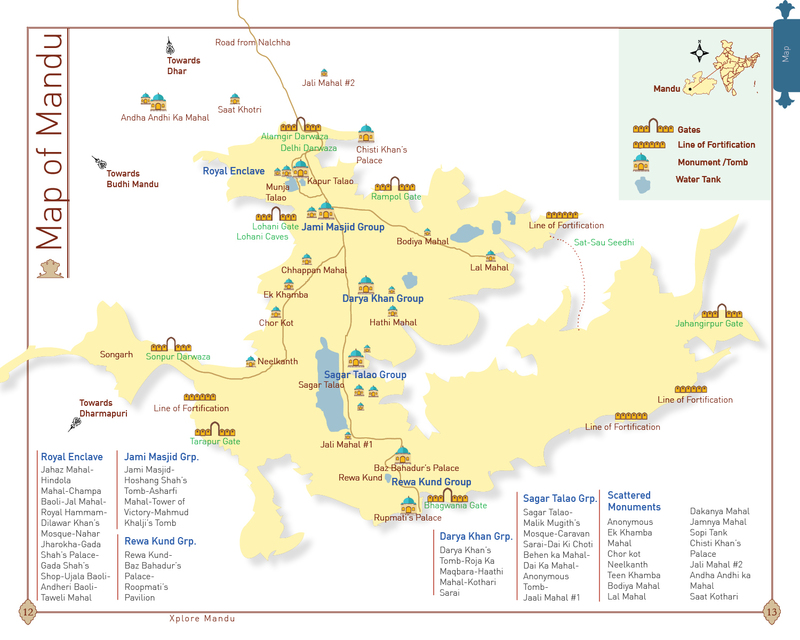 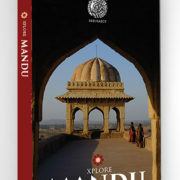 Updated and expanded Map of Mandu for facilitating your itinerary. 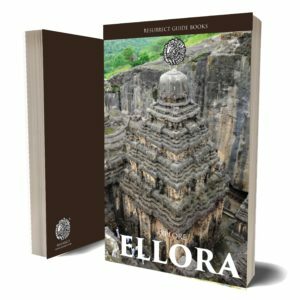 ” In the ruins of Mandu, the walls of bricks and bodies have fallen, but the love of Baz Bahadur and Roopmati has survived. 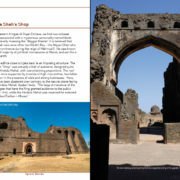 I find it a fascinating haunt. 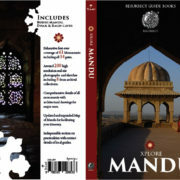 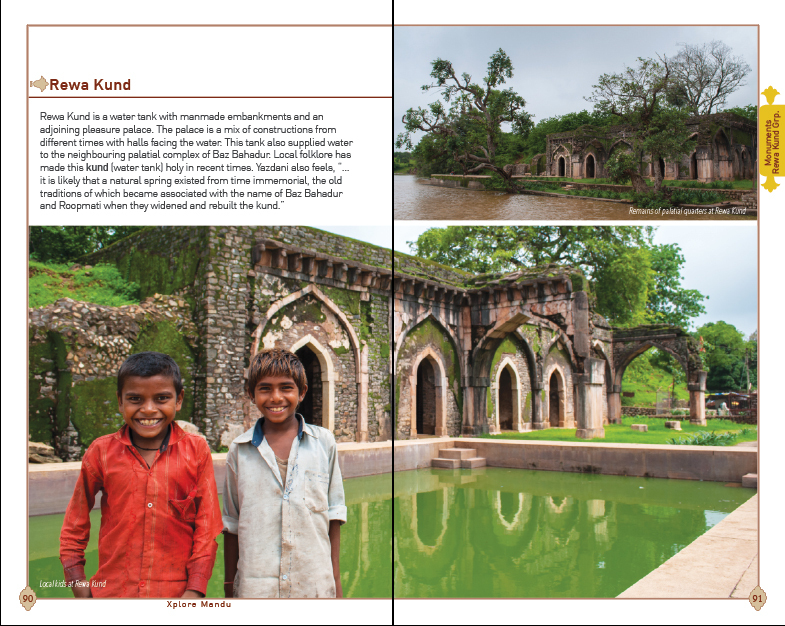 While driving from Bombay to northern India, Mandu was always my favourite place to halt for the night. 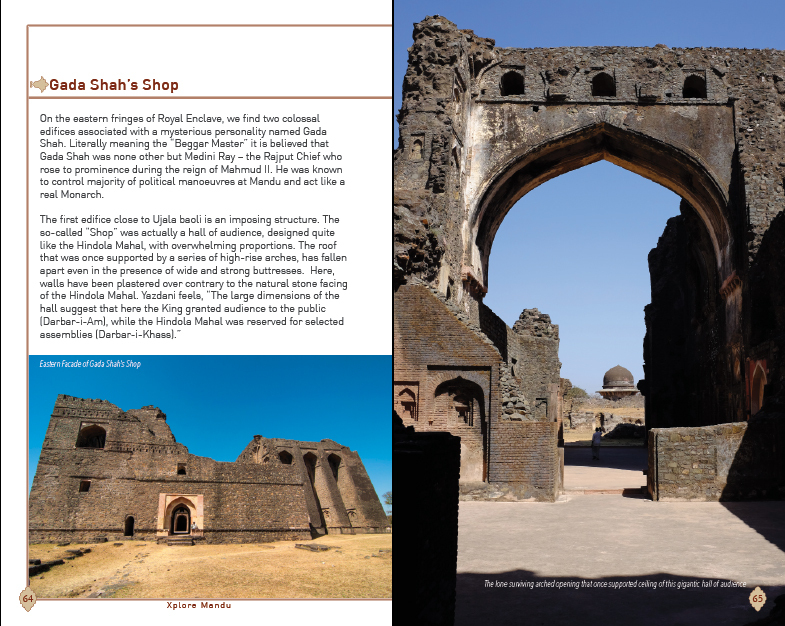 Though Mandu has fallen prey to noisy touristy attractions in recent times, the ruins still haunt me as a lovers’ rendezvous. 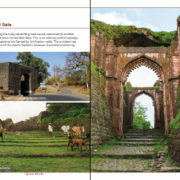 attractions in recent times, the ruins still haunt me as a lovers’ rendezvous.